Ross & Cromarty Roots | Angus Grant. In loving memory/of/The Rev. 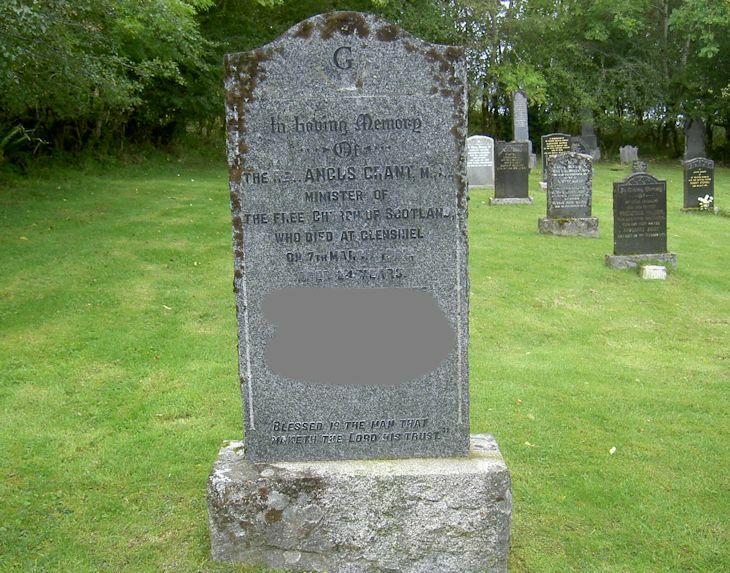 ANGUS GRANT M.A./minister of/the Free Church of Scotland/who died at Glenshiel/on 7th March 1962/aged 64 years/["recent"]. Blessed is the man that/maketh the Lord his trust.